Indeed, over the years, civil society groups and some state institutions have made significant progress in collecting, analyzing and publishing information about serious human rights violations and breaches of international humanitarian law committed by all armed actors in Colombia. The National Center for Historical Memory, La Comisión de Verdad y Memoria de las Mujeres Colombianas, and a number of court cases, among others, have helped to shed some light on the conflict. While these initiatives are important in themselves, they will also be useful in providing information and material for a future national truth commission. Over its lifetime, a truth commission emerging from a peace process is presented with a number of opportunities and challenges, and how it responds to them can enhance or weaken its ability to fulfill its mandate and contribute meaningfully to peace and reconciliation in the society. These include building legitimacy and support across broad segments of society, commissioners interpreting their mandate to serve the greatest interest, engaging marginalized groups such as women and the Indigenous, and leaders seizing the moment of goodwill after the signing of an agreement to establish a strong commission. An issue of potential relevance is the mandate or design of a truth commission. 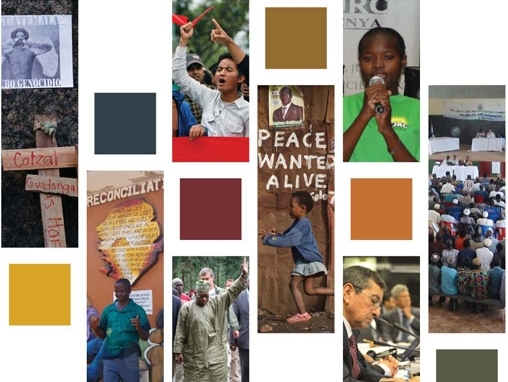 According to a report published last year by ICTJ and KAF, “Challenging the Conventional: Can Truth Commissions Strengthen Peace Processes,” the mandates of truth commissions have expanded in recent years to cover a growing list of functions and violations. Watch the conference live on our Spanish website here here. We will also be blogging in English throughout the conference, with summary highlights of the discussions. Follow along and learn more on the conference website here, and join the conversation on our Twitter accounts in English and Spanish.